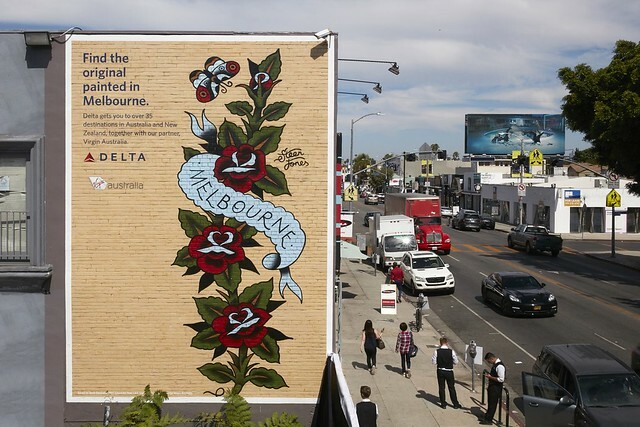 Delta brings street art from around the world to L.A. Following the success of Delta’s murals in New York, Delta has now unveiled another painted wall series — this time in Los Angeles. 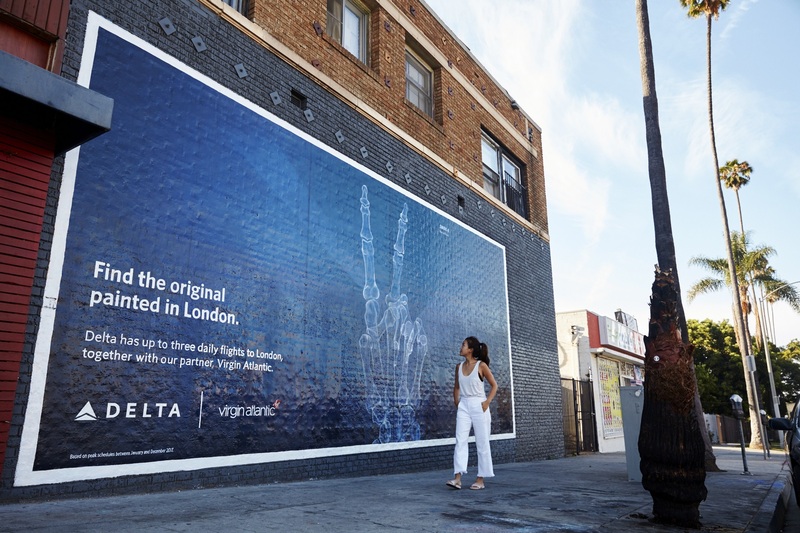 Following the success of Delta’s #DeltaDatingWall and the #DeltaDestinations Airport Codes Wall in New York, Delta has now unveiled another painted wall series — this time in Los Angeles. Delta debuted the series at a private event on Melrose Avenue Thursday evening near the location of two of the three painted walls. The recreated murals from the streets of London, U.K.; Melbourne, Australia; and Mexico City, Mexico; inspire Angelenos to “Go Find the Original” by flying to the cities where the originals are located. The series highlights Delta’s industry-leading joint venture partnerships with Aeromexico, Virgin Atlantic and Virgin Australia, through which Delta can take Angelenos to nearly any destination they desire, while celebrating L.A.’s love of street art and the creative passion of top street artists from around the world. The featured artists include Shok-1, Nacho Bernal and Steen Jones. U.K.-based artist Shok-1 is the self-proclaimed pioneer of aerosol X-ray art. His work, which blends art and science, garners millions of views from passersby in London. Graffiti artist and illustrator Nacho Bernal brings intricate artworks to life in the streets of Mexico City. The closer you get to his mural, the more the details come to life. Steen Jones hails from Fitzroy, Melbourne, arguably one of Australia’s most active and prominent graffiti and street art suburbs. His street art feels similar to tattoo work, which is where Steen got his start. Delta has also launched InstaTrips, a contest through which participants can enter to win a trip to go see the original works of art. The contest runs from July 27 through Aug. 8, 2017. To enter, participants can take a photo of themselves in front of any of the three art walls and post it to Instagram using #deltainstatripscontest. ​These walls are on display through mid-October of 2017. Delta will continue to bring more art from around the world to LA throughout the year. The painted walls series builds on Delta’s Dream Up, L.A. campaign, which celebrates the creative and entrepreneurial spirit of Angelenos in pursuit of their passions.